Each piece has a healthy amount of nibs. I ate this much and more for the worthy cause of this review. Madecasse  chocolate has come a long way since I first reviewed their 67% and 75% bars more than a year ago. Since then, they’ve added three bars to their line and revamped their package design twice. Before we dive into the tasting, here’s a little reminder of what Madecasse is all about. They’re making tree-to-bar chocolate on the island nation of Madagascar. To my knowledge, there is only other company making tree-to-bar chocolate, where the cacao is grown and transformed into chocolate within the same country – The Grenada Chocolate Company. This breaks from the long-established commodity model of importing cacao beans to Europe where they are made into chocolate. The point of the tree-to-bar approach is that more of the economic value is kept in the cacao-growing country where it can benefit the local economies. Not only is a fair price paid for the premium cacao, but locals are employed to make the chocolate all the way down to the finished, packaged bar. Located much further south from the equator than most cocoa growing countries Madagascar is blessed with a unique climate and growing conditions. 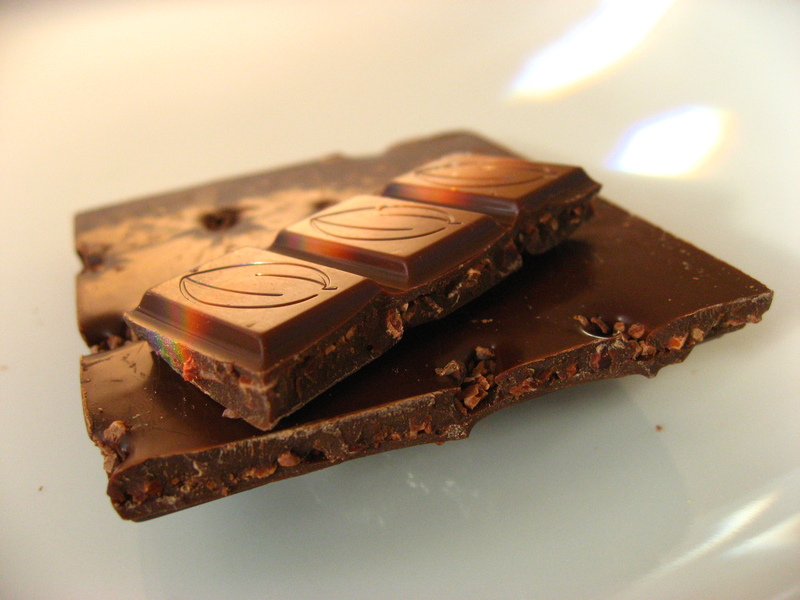 These conditions provide for exquisite, fresh local ingredients for their chocolate. While Madecasse has not paid for organic certification, organic farming methods are used, a no-brainer in a country that has a long heritage of small-scale farming that uses only natural mulch and composts for fertilizer. The company was started by two former Peace Corps volunteers, Tim McCollum and Brett Beach, who work closely with farming cooperatives to provide access to training and equipment as well as encourage sustainable agriculture. As a result, they are expanding the market for rural farmers and providing the local economy with 4x the impact of fair trade cocoa — an important mission considering the immense beauty of the Madagascan eco-system and that this is one of the poorest nations in the world. Of the three new bars (Sea Salt and Nibs, 80% Dark Chocolate and Milk Chocolate), I decided to taste the one I felt was the most intriguing – the Sea Salt and Nibs bar. Cocoa nibs are added to dark chocolate then it’s all finished off with a sprinkling of sea salt. Madecasse Sea Salt and Nibs bar in the new packaging. butter, cocoa nibs, sea salt, soy lecithin, vanilla. Where to buy Madecasse Sea Salt & Nibs Dark Chocolate. AROMA: Plum, cantaloupe, vanilla, pancakes, caramel. INITIAL IMPRESSIONS: Cantaloupe and blueberry. Light salt. Celery. Approaches you with more dimension — having a savory food quality more like an hors d’oeuvre than a confection. MIDDLE TASTE: The main act is all buttered croissant. Pear, cantaloupe, citrus, watermelon, almonds, candied yams and a faint hint of strawberry. Very little fruit acid that you usually get from nibs and not much woodiness until later. FINISH: The finish is long, pleasant and low-lying with none of the dry pulpiness that is typical of nibs. Milk, light herbals, almond milk, light wood. 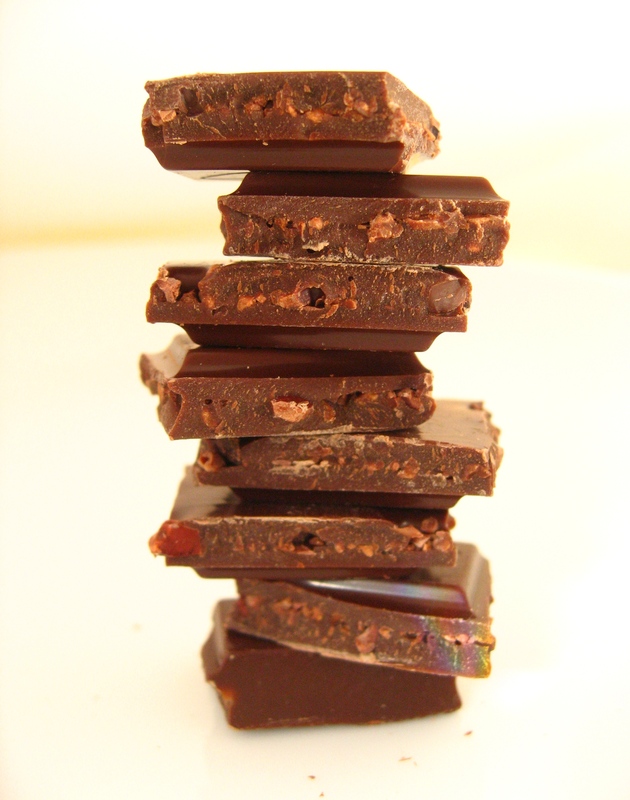 TEXTURE: You get the occasional crunch of nibs surrounded by smooth chocolate. give them a lot of credit for the care that went into achieving balance with this bar. Don’t get me wrong – there are fruit notes here, but they are more subtle melon than berry. Even the use of salt was judicious and understated. What it lacks in pronounced fruit, it makes up for in approachable buttered croissant and almond notes that go long into the finish. This buttered croissant character and the watermelon notes are uncommon in my experience and well worth exploring. This entry was posted in Madagascar, Madecasse Chocolate and tagged artisan chocolate, Bean-to-bar chocolate, Cacao Nibs, Chocolate, Cocao Nibs, dark chocolate, Fair-trade chocolate, Madecasse, Madecasse Chocolate, Nibs. Bookmark the permalink.